21st century cinema has provided some of the greatest scenes in film history. The following is a list of 25 of the best movie scenes of the century thus far. Please note that the discussion of these scenes may include spoilers. Luca Guadagnino’s 2009 film “I Am Love” is the first installment of his self-described Desire trilogy, followed by 2015’s A Bigger Splash, and 2017’s Call Me by Your Name. 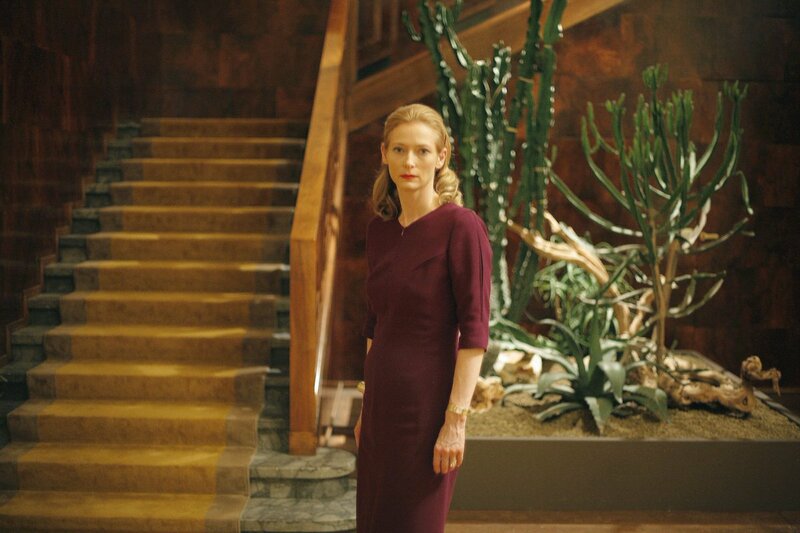 I Am Love stars Tilda Swinton as Emma, a Russian native who left her country to marry a rich Italian man who is part of a powerful family. Emma is introduced to Antonio, a chef for whom her son plans to open a restaurant with. Antonio cooks exquisite meals for Emma, and she soon falls in love with his cooking, and with Antonio himself. After a tragedy occurs during a family dinner, Emma professes her love for Antonio by telling her husband. The final scene of the film shows Emma rushing home and changing clothes while her housekeeper helps to pack her things to leave. Before she leaves, she exchanges a knowing glance with her daughter, who understands her mother’s desire to follow her heart. When the family members look back into the foyer where Emma was standing, she is gone. In Drive, Danish filmmaker Nicolas Winding Refn paints a grimy picture of a driver (Ryan Gosling) who is trying to escape his shady past as he falls for his neighbor – whose husband is in prison and who’s looking after her child alone. Right before the film’s elevator scene Ryan Gosling’s Driver stands before Carey Mulligan’s Irene and confesses his love for her and her son and how getting to know them has changed his life for the better. The two enter the elevator while a strange man is already inside. Driver realizes the stranger in the elevator is there to kill them. Knowing these are his final moments of innocence with Irene, Driver kisses her for the first and last time. The man in the elevator pulls a gun, but Driver is too quick and kills him instead. Irene is shocked and upset, and Driver, now covered in blood, stares into Irene’s eyes, almost pleading with her for another chance at the simple life. The elevator closes. Director Joshua Oppenheimer’s 2012 documentary “The Act of Killing” follows former death-squad leaders who participated in the Indonesian mass killings of accused communist sympathizers from 1965-1966. The most notorious and outspoken of these executioners is Anwar Congo, who proudly recollects and reenacts his killing of hundreds of people with glee. Anwar’s reaction to his killings seems to shift during the film, which spans five years, and towards the end Anwar openly asks Oppenheimer if he thinks he has sinned. The final scene in the film takes Anwar back to a building rooftop which he claims was the scene of several of his murders. 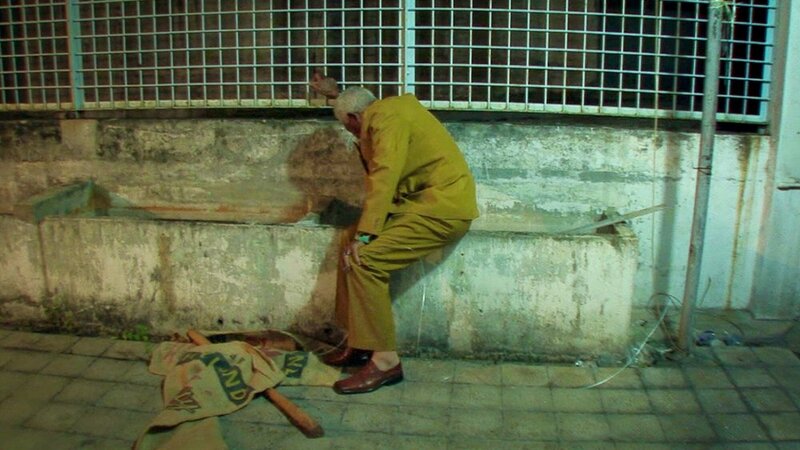 While demonstrating how he killed people on the rooftop, Anwar becomes overcome by the violence he committed to the point of physical sickness, retching repeatedly. 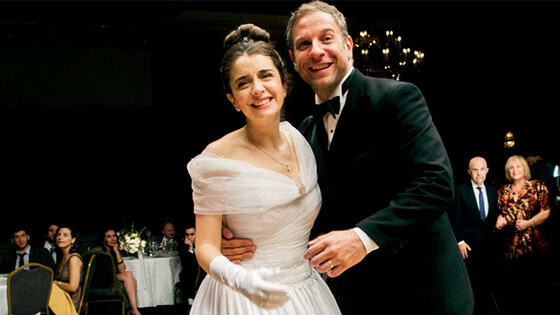 Damian Szifron’s 2014 film “Wild Tales” is divided into six short stories, of which the final and inclusion in our list of great scenes is ‘Until Death Do Us Apart’. In this final segment a bride discovers during her wedding reception that her newlywed husband has been cheating on her with one of the guests and decides to enact her revenge at her own wedding. What follows is a mixture of hilarity and emotions in an epic rampage given by Argentinian actress Erica Rivas. 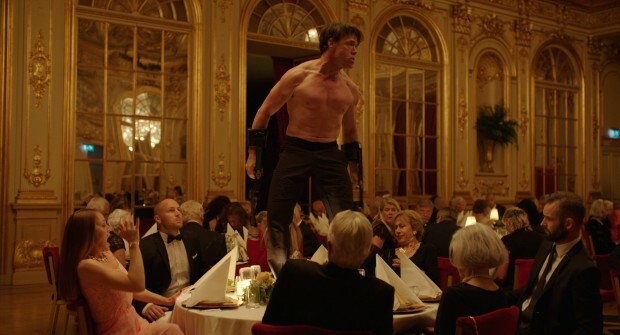 Ruben Ostlund’s 2017 film “The Square” follows a museum’s chief art curator as he attempts to release a new exhibit. The film won the prestigious Palme d’Or at 2017 the Cannes Film Festival and received a Best Foreign Film Oscar nomination. Despite numerous accolades, the film is perhaps best known for its scene featuring a man mimicking a gorilla at a fancy dinner party. This dinner party included many real-life people known within the Swedish art world who instructed to mingle as they would at any other formal dinner event. Ostlund did not tell the majority of guests that a gorilla man (Planet of the Apes actor Terry Notary) would be roam around the ballroom whooping and jumping on tables and going from amusing to very tense. Ostlund said that “The idea of it, basically, is that we’re all animals,”. And the scene reveals the base animal instincts come to the surface when societal conventions break down. 2015’s “45 Years” tells the story of married couple Geoff and Kate, and the days leading up to the celebration of their 45th wedding anniversary. A few days before the anniversary, Geoff (Tom Courtenay) receives a letter saying the body of his ex-girlfriend from half a century ago, Katya, has been discovered. 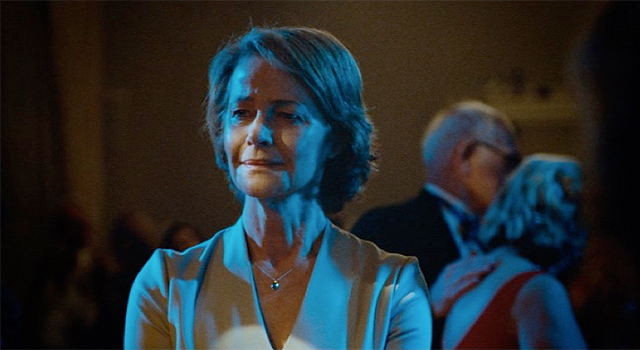 Kate (Charlotte Rampling) soon learns that Geoff had planned on marrying Katya had she not died. “I can hardly be cross with something that happened before we existed, can I?” insists Kate. Kate begins to question in hindsight whether Katya was an influence in their relationship after all these years. Was Katya at their wedding when they danced to the song “Smoke Gets in Your Eyes”? Was Katya in their decision to not have children? Is that the Katya’s perfume smell throughout the house? Maren Ade’s third feature film, Toni Erdmann focuses on a testy emotional bond between a father and daughter. The film stars Sandra Huller as Ines, a self-determined, career driven consultant; and Peter Simonischek as Winfried (or Toni as we will see later), her father. The performance of both actors are among the best of 2016. Winfried is a compulsive practical joker, pulling pranks on everyone from family members to the local mail courier. His disguise of choice includes bad-fitting false teeth and a shaggy wig, for which he calls his alter ego, “Toni Erdmann”. Maren Ade loosely based the father on her own dad who would also wear fake teeth as a gag to play practical jokes. Toni’s gags to his daughter throughout the film are hilarious, but although the film is named after the father character, it is the daughter Ines that is the central subject of the movie. She’s cold, stressed, impatient, and spends most of her time either around colleagues and clients, or talking business on her cell phone. Seeing how stressed his daughter is, Toni makes awkward attempts to reach out and make contact with her in the most inopportune situations. He pops up at her office as she walks in with co-workers, he appears at after work events as her daughter talks with others, introducing himself as a ‘life coach’ to associates. A first glance Toni Erdmann may seem like a simple father daughter comedy, but the central crux of the film deals with bigger ideas in contemporary Europe. The film looks at the direction which Europe is going, the threat to local customs, the values that are becoming common within a capitalistic society, and the family dynamic becoming compromised as citizens struggle to keep up. Some viewers may note the films run time at 162 minutes, but the time allows the viewer to get to know the characters, and the film flows effortless with no lulls. Toni Erdmann can also boast of perhaps the top film scene of 2016. In this scene, Ines and Toni attend the party of a mutual friend. Toni then announces to the crowd that Ines would like to sing a song before they leave. What follows is magical as Ines sings Whitney Houston’s ‘Greatest Love of All’. It is a painful, funny, self-reflecting moment, and an unforgettable scene. Director Michael Haneke’s 2005 film “Cache” tells the story of an upper-class French family who are terrorized by surveillance tapes received from an unknown person. This family consists of Georges (Daniel Auteuil), his wife Anne (Juliette Binoche), and their son Pierrot. After receiving several videotapes, eventually Georges receives one which leads him to the apartment of Majid, an Algerian man who lived with Georges’ family when they were both children, and who Georges’ parents planned to adopt. The theme of “Cache” is one of guilt on a personal level and the guilt of a nation with the film serving as an allegory of the historical treatment of Algerians by the French. Georges’ character represents the French middle class which has prospered over the years, and Majid the suppressed immigrant population which has been left behind. Towards the ending of “Cache” Haneke shows a flashback from Georges’ childhood to when Majid is taken away from the family. Majid tries to escape from what appears to be a social services couple but is eventually caught and forced into the back seat of the car and driven away. The credits soon roll showing the outside of a school, and the viewer can see Majid’s son and Pierrot having a discussion, and then going their separate ways. Does this mean that Pierrot was in on the plot? Some theories even suspect Haneke himself is sending the videotapes with the ending of Majid’s son and Pierrot reflecting hope for a better future for the next generation in France. Regardless of whom the culprit is, “Cache” is a film which leaves the viewer with more questions than answers.